Donald Trump attended the FBI National Academy Graduation on Friday in Quantico, Virginia. What follows is a partial nonverbal analysis of a few key segments of that ceremony. The Star-Spangled Banner was played at the beginning of the event (from 2:40 - 3:53 in the above video). 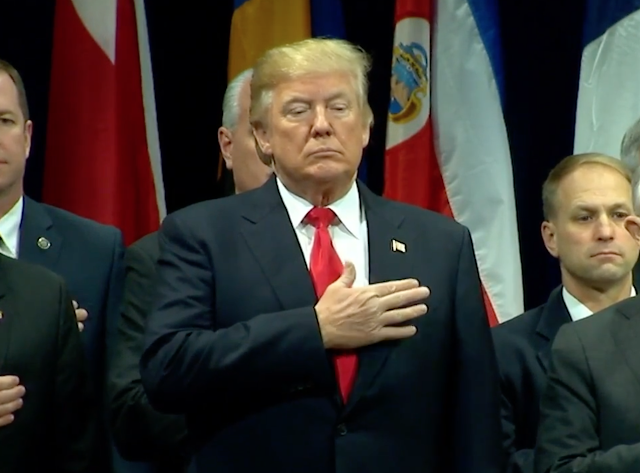 Throughout the US national anthem, the President held his right hand over his left chest (which is, of course, proper etiquette). However, his hand was not stationary but was repeatedly patting his chest (absolutely NOT protocol). What's the significance of this chest-patting during The Star-Spangled Banner? Suppose for a moment, this was anyone else but the President - such as a person in the bleachers at the beginning of a Chicago Cubs game, we would say he was - without necessarily realizing or intending to do so - showing disrespect for the anthem, country, and tradition. The placing of the full palm over one's heart during other times is an act we subconsciously perform in moments when we're felling "heartfelt" and sincere. A close analog also occurs during hugging. If you and your lover are alone, hugging in the kitchen - you would (and should) expect a full palmar touch upon your back (not just with the tips of their fingers - but their entire fingers, thumbs, and palms of their hands). Crucially, in such private and intimate moments - there should be NO PATTING. For in the context of a hug, patting means: "Let's stop hugging". It's an insincerity and disengagement display. Sometimes, however, with people who have trepidation regarding public displays of affection, there may be a degree of patting during hugs at nonprivate locations - even if the hug involves people who care deeply for each other and who are otherwise affectionate. However, many times during a hug - particularly when private or nearly so, when you notice the other person patting you on your back - rather than maintaining a constant and full palmar-touch - it may very well indicate their lack of affection and sincerity. Yet touching over one's heart during the National Anthem is not a private act. On the contrary, it's intended as a public declaration and signal of loyalty, sincerity, and patriotism. 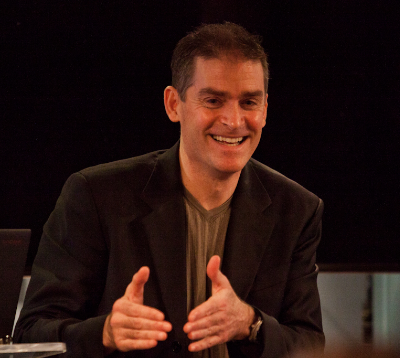 Patting signals a lack of respect as well as low mental-emotional engagement. Let's dig deeper. A few moments later when two prayers were offered, the President rotated his body back and forth (while keeping his feet stationary). Please watch the video during 4:49 - 5:12 as well as 5:49 - 5:57, as these dynamic behaviors are not captured with still imagery. 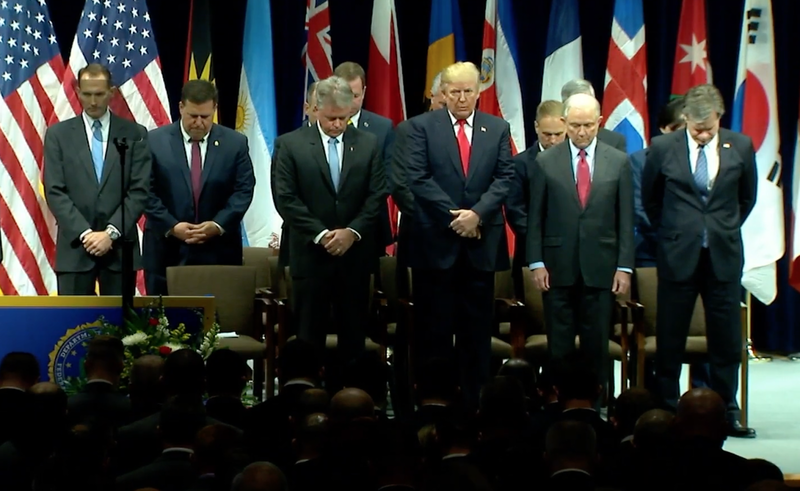 Moreover, while the other people on stage bowed their heads and closed their eyes during the prayers, while the President looked up (with his head held nearly upright and his eyes open) at the audience at multiple times during each prayer offering. 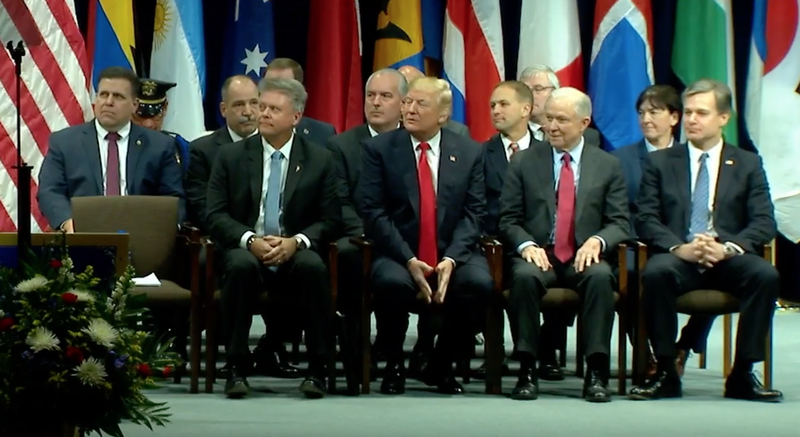 While others were speaking, Donald Trump also sat in his routine/default configuration of a seated crotch display (manspreading - although less so than is typical for him due to the relatively close seating of the adjacent chairs) with his usual accompanying low conventional steeple. 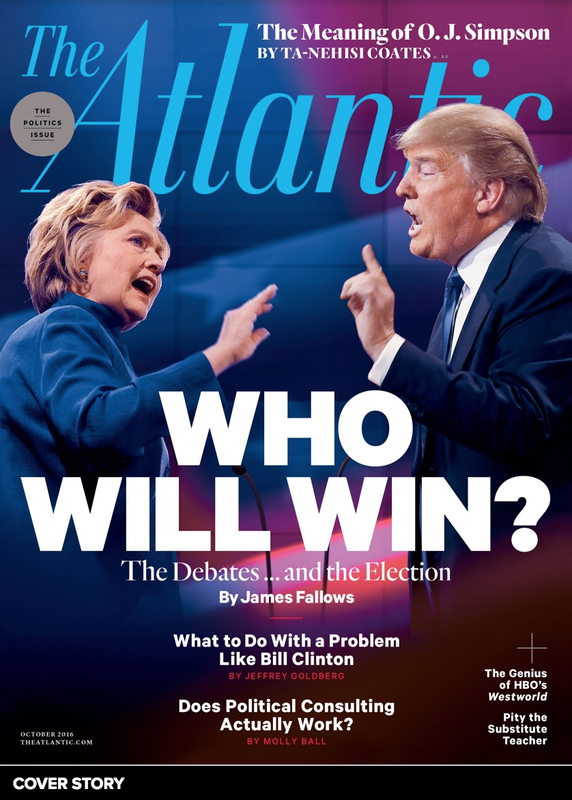 However, once again, President Trump did not sit still - his fingertips repeatedly moved apart and back together (e.g., during 6:56 - 7:17 and 8:35 - 9:03, ). When viewed in context, we can look back at the chest-patting and make the conclusion that it was part of a larger pattern of hyperactivity behavior. What are some other possible causes? Anxiety is another explanation to consider for these nonverbal repetitive movements (MAPs - Manipulators, Adaptors, Pacifiers). If it were the seventh game of the World Series, the theoretical man in the bleachers may very well be nervous, with his adrenaline is heightened. This would very likely be manifesting itself, in part, via excessive motion. Impatience may also overlap with anxiety and cause this same excessive motion behavior. Another possible cause is Hyperactivity disorders, such as Adult ADHD. The "man in the bleachers" may also have secondary hyperactivity arising from any number of stimulants resulting in these and similar excessive movement displays. When accompanied by other nonverbal behavior (not present in this example), excessive movement may even indicate boredom. Summary: President Trump's nonverbal displays during FBI National Academy Graduation on Friday - specifically during The National Anthem, the ensuing prayers, and during portions of the ceremony - demonstrated movement behavior which was significantly out-of-context and excessive. This was most likely arising from anxiety resulting from the President's recent harsh criticisms of the Nation's premier federal law enforcement agency.